Disclaimer: This article does not constitute legal advise. You should consult with an attorney familiar with GDPR to determine the steps that you should take if your company conducts business in the EU. GDPR only applies to companies that use LobbyCentral in countries within the EU. If you use LobbyCentral in the United States only, GDPR does not apply to you. a) that personally identifiable data is being collected and stored. Note that the data must be able to positively connect itself with a real person to fall under the GDPR. This is key. f) upon request of an individual, provide all and/or permanently delete data that has been collected on him or her; deletion includes third-party companies that had access to the data. 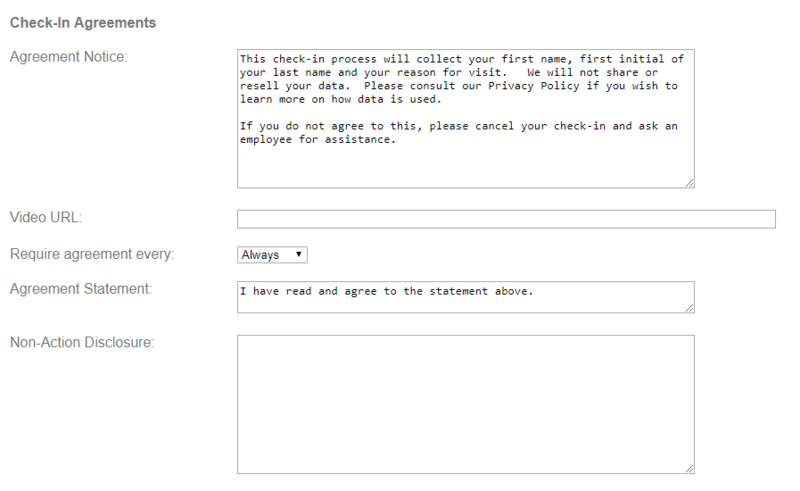 g) display a Consent Message that the user must agree to before data is collected. GDPR applies to data that can be connected to a real person, aka personally identifiable data which is similar to the United States's health information privacy protection act (HIPPA). The "Limit Last Name" Option in Kiosk Profile has been added to prevent a customer from entering their entire last name. Kiosk Profiles allow you to set different options for different locations. This allows you to create a profile to limit last name in EU countries and another profile that collects the full name in other countries. 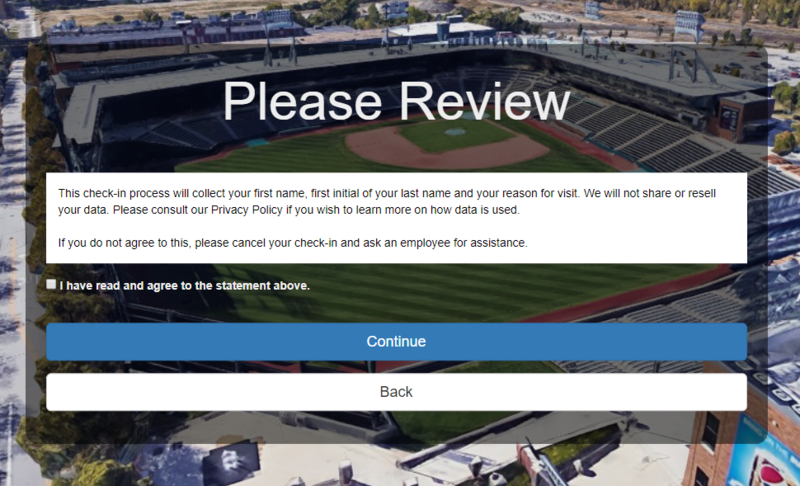 You can create a Check-In Agreement that will handle the consent portion. Please note that the Check-In Agreement will apply to all kiosks. Change the Require Agreement to Always or Just Once. Enter the desired Agreement Statement. This is the customer's acknowledgement that they have read your notice and agree to it. If you have additional questions, please contact us at support@lobbycentral.com. Please note that we cannot provide legal advise and that you should consult an attorney for specific questions about GDPR and how it applies to your company.